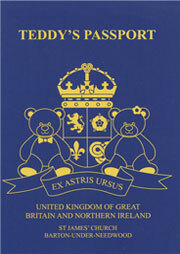 The adventure begins with you and your Teddy (or soft toy cousin) creating your own Passport and personalised photograph. 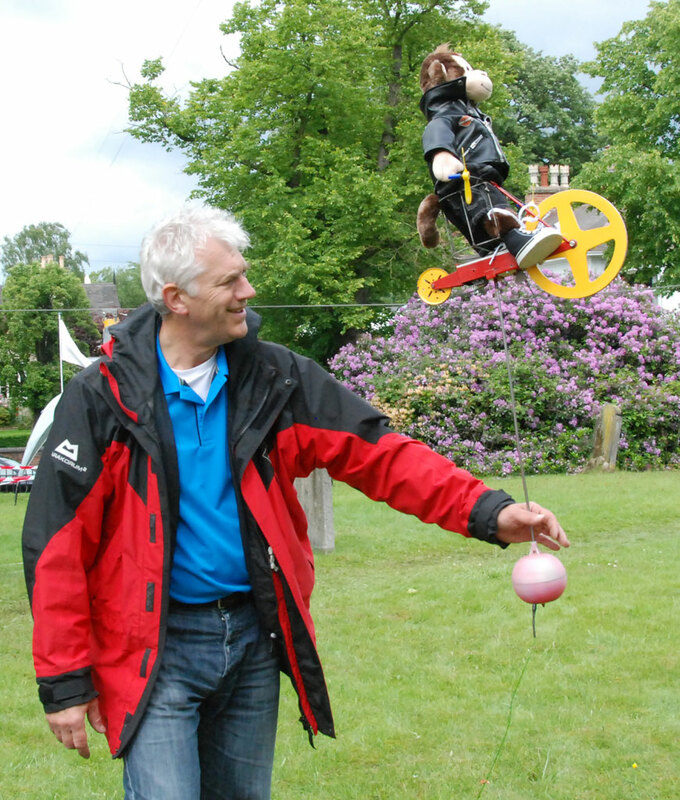 The next step is to make sure that Teddy is fit to fly on the demanding G-forces of the eight rides as well as an X-Ray security check and Tedical. 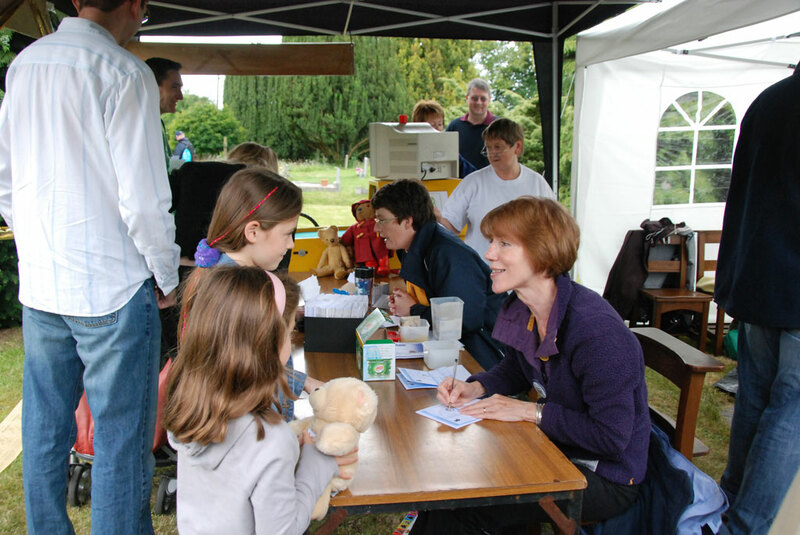 At the boarding gate of each ride, show your passport for each exciting ride. 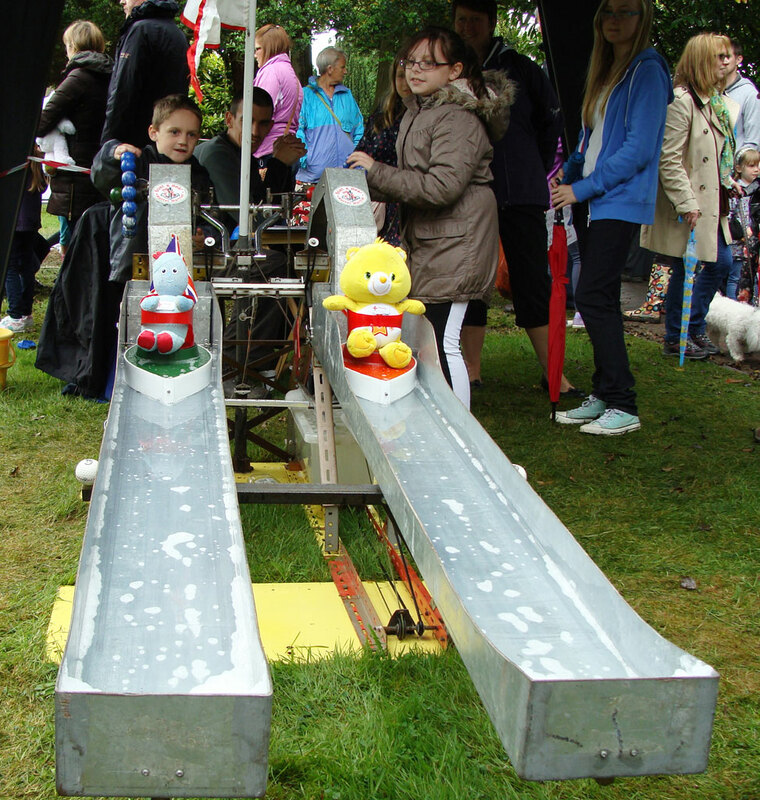 Your teddy is awarded a commemorative sticker and stamp at the end of each ride. 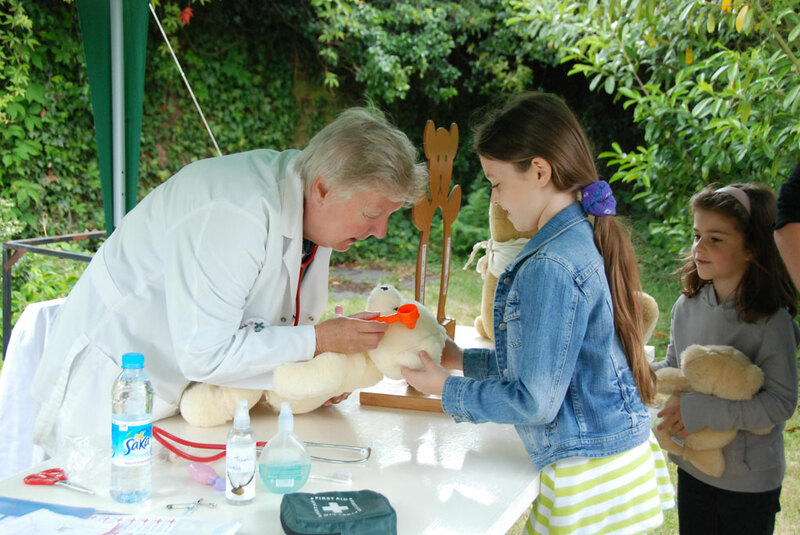 Highly trained volunteers provide emergency cover for teddies. 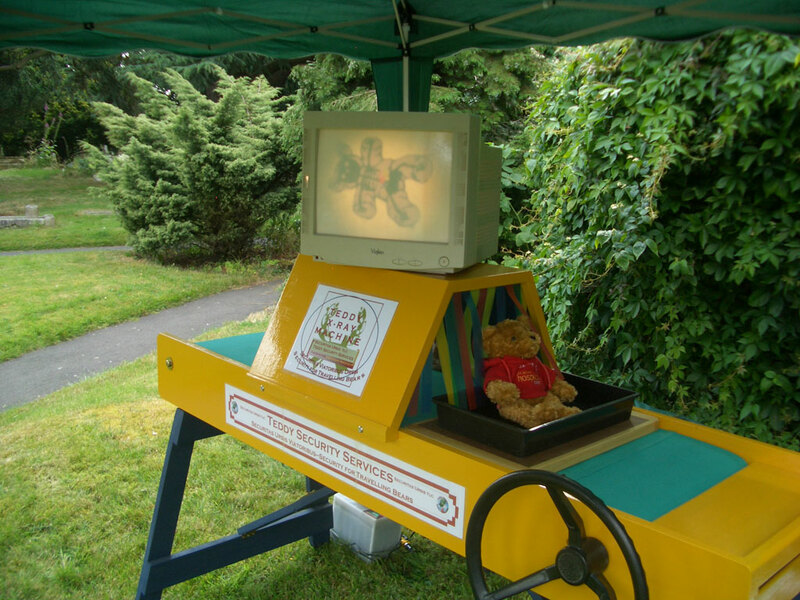 The X-ray machine checks teddies for security. 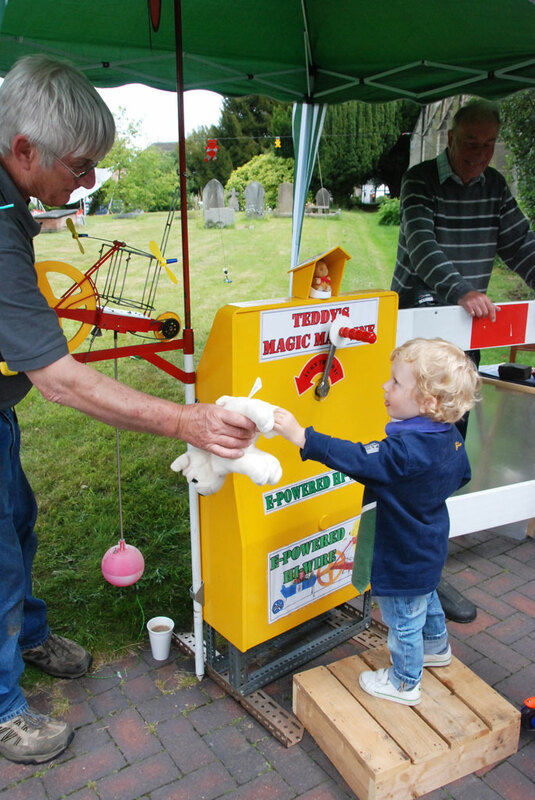 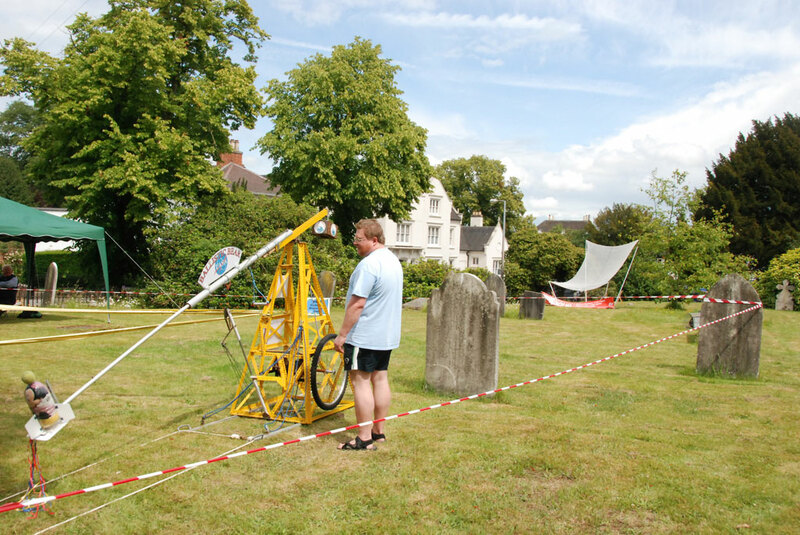 Of the 8 rides, 5 are located in the centre of the village in St James Churchyard where teddies can also test their strength on the Teddy Tuff-o-Meter. 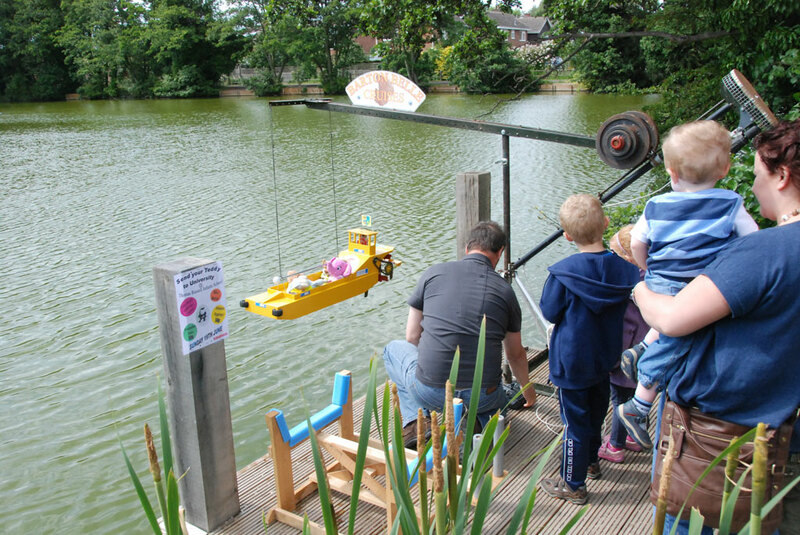 The other 3 rides are close by at the Village Pond off Efflinch Lane. 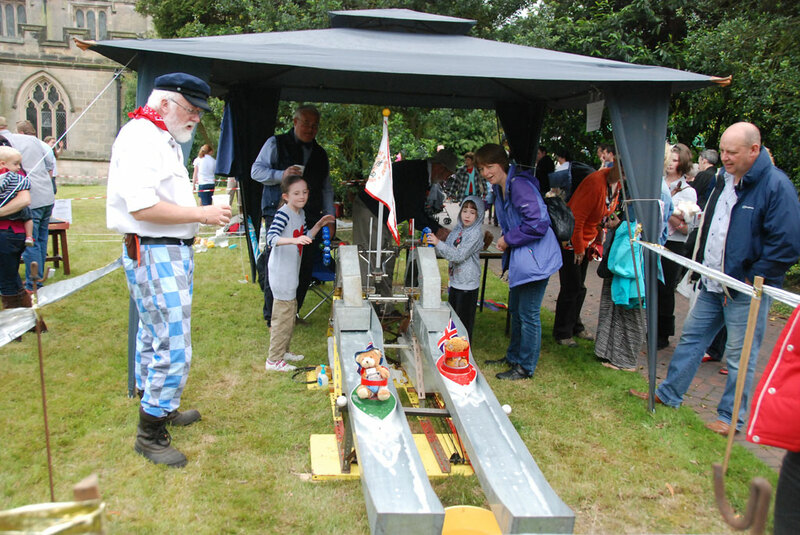 To make the most of the experience we suggest you bring along soft teddies or their friends who are no more than 35cm tall. 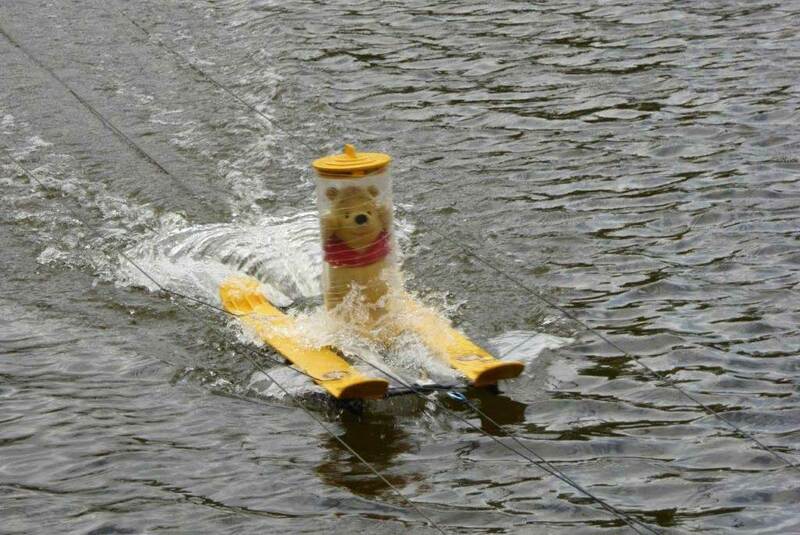 Teddy can demonstrate his forwards and backwards waterskiing skills as he zooms across the Village Pond safely protected from the waves by a specially designed capsule. Only teddies measuring 35cm tall - or less - and who are not too tubby - will fit in the capsule. 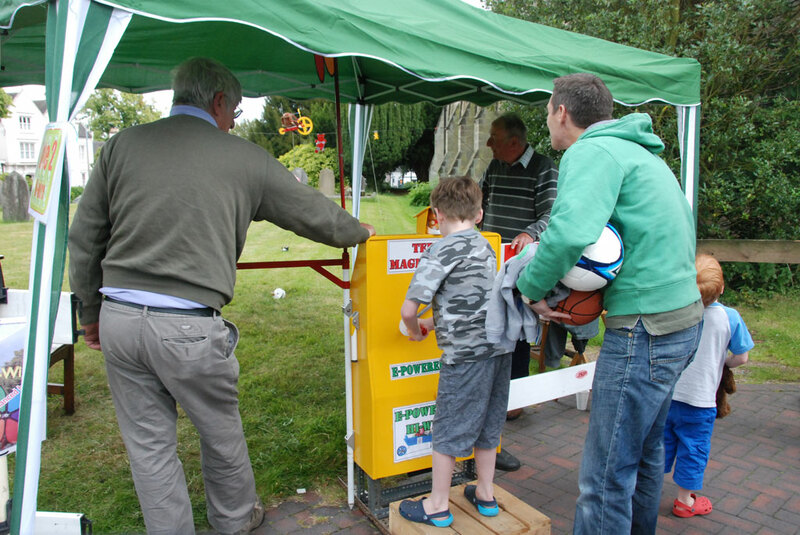 However our stunt teddies will be standing by in case your favourite toy won't fit in. 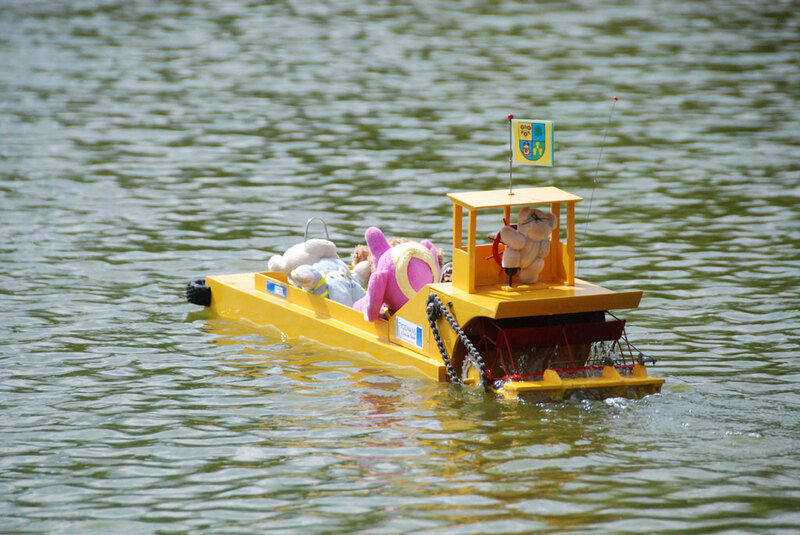 For maritime Teddies, regular Barton Belle excursions on the Village Pond with you at the radio controls. 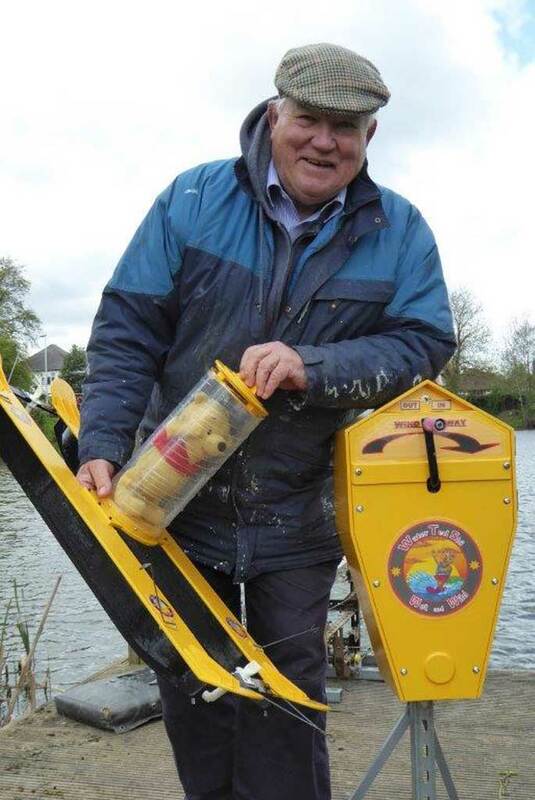 Lifejackets provided. 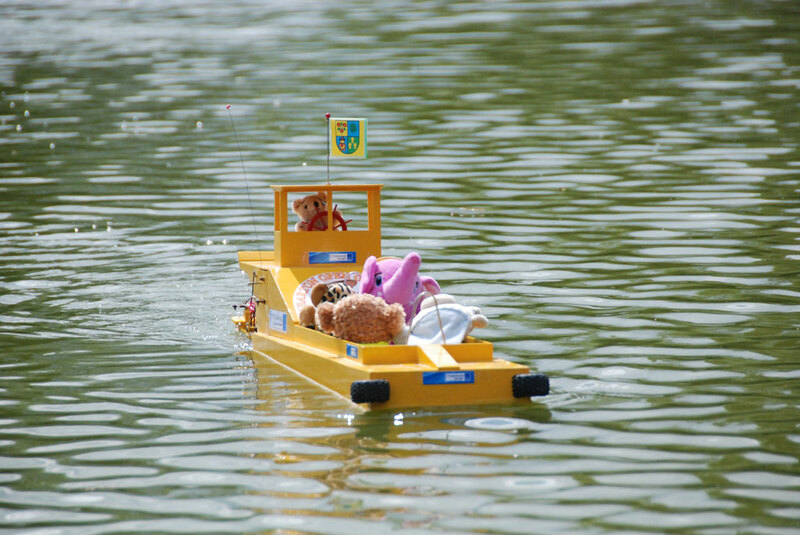 A full Teddy lifeboat services are provided by the Barton rescue canoe. 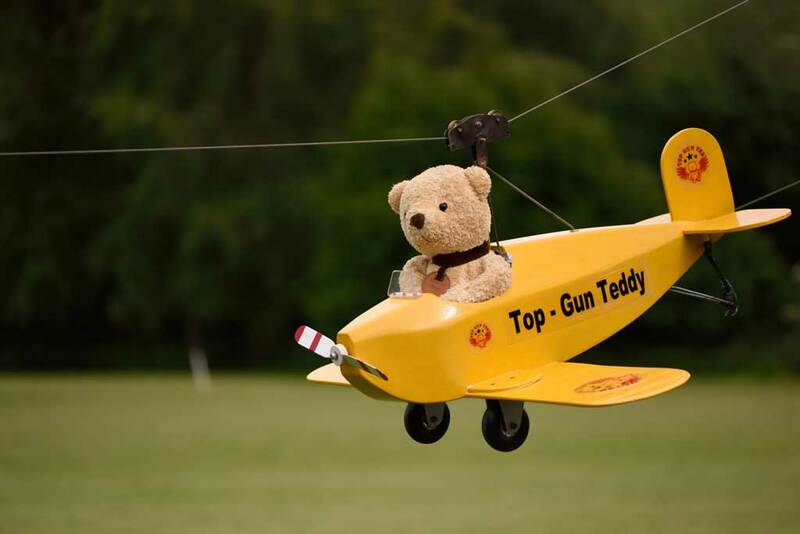 For Teddies with excellent flying skills! 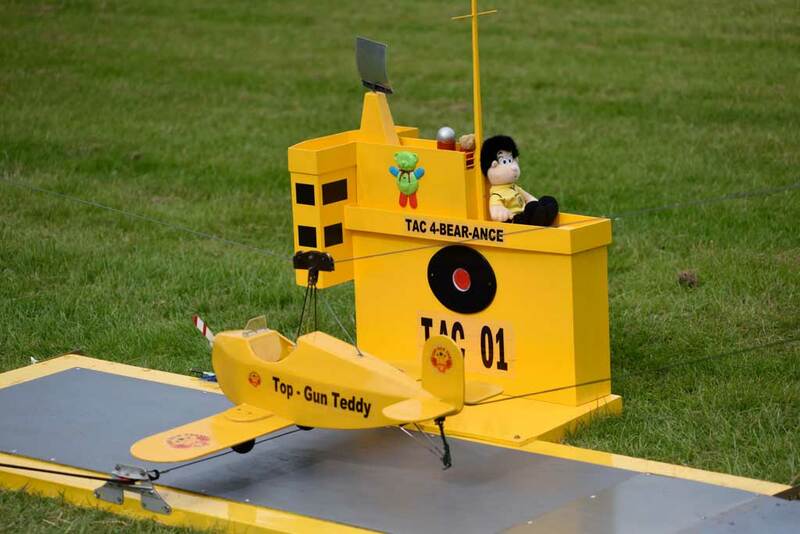 Your job is to pilot the special plane onto a landing strip to earn your Teddy Top Gun Wings. 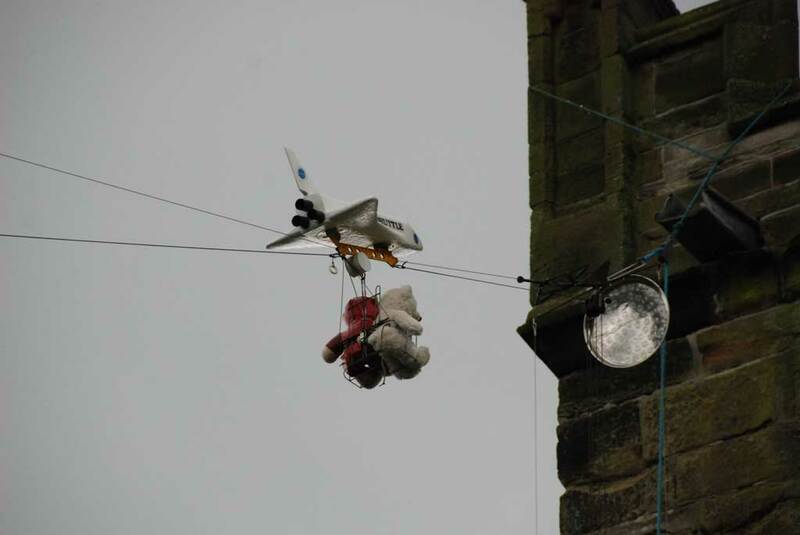 For ambitious Teddies who are fired upwards suspended from the Teddy Shuttle to the top of the Church Tower. 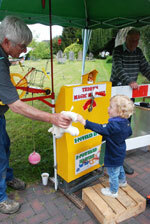 A dramatic cymbal clash signals the climax of the ride as Teddy goes boldly where no Teddy has gong before! 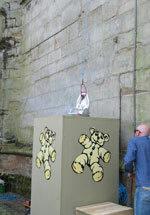 For fearless Teddies only, Ballistic bear will project Teddy 20 metres through the air to the rescue net. 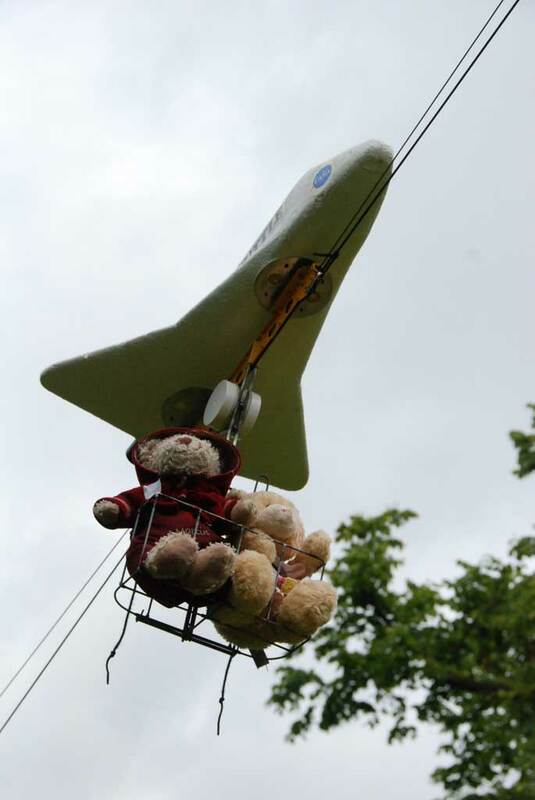 If Teddy misses the net, then fully trained Paratedics will be on standby to administer hugs and kisses. 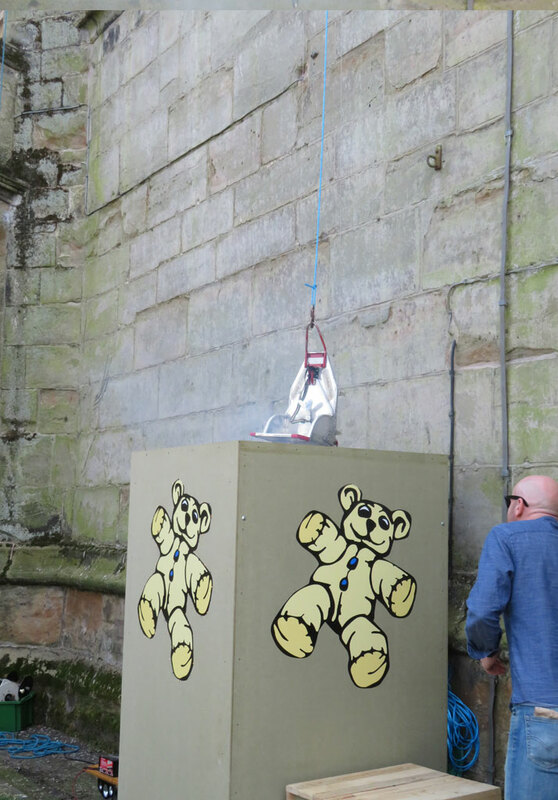 A quiet ride for beautifully balanced bears is Teddy Hi-wire. Teddy sits in a chair which is balanced on a wire. 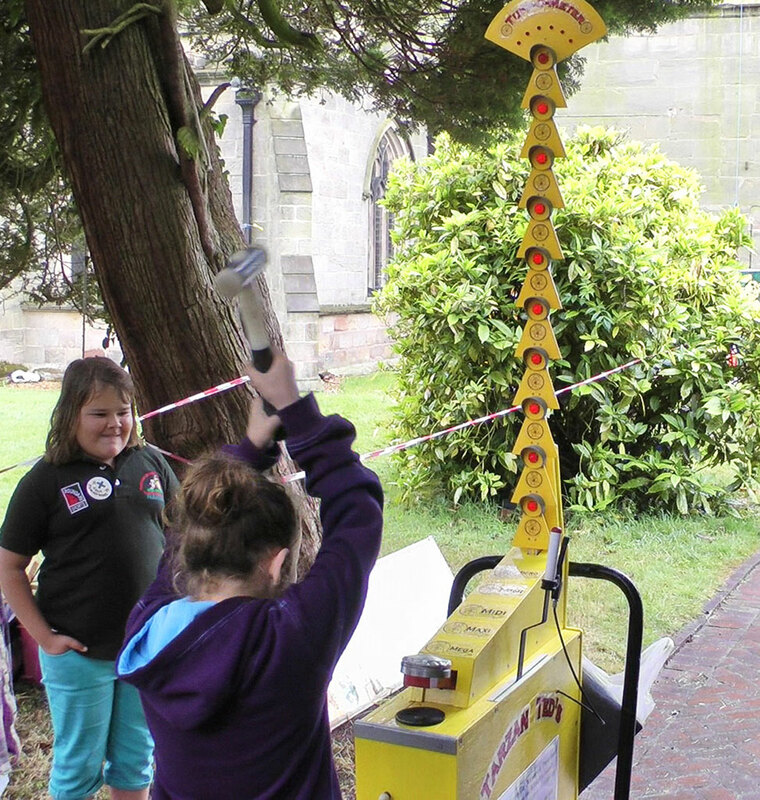 Teddies helpers wind the magic machine to make Teddy travel along the High Wire. 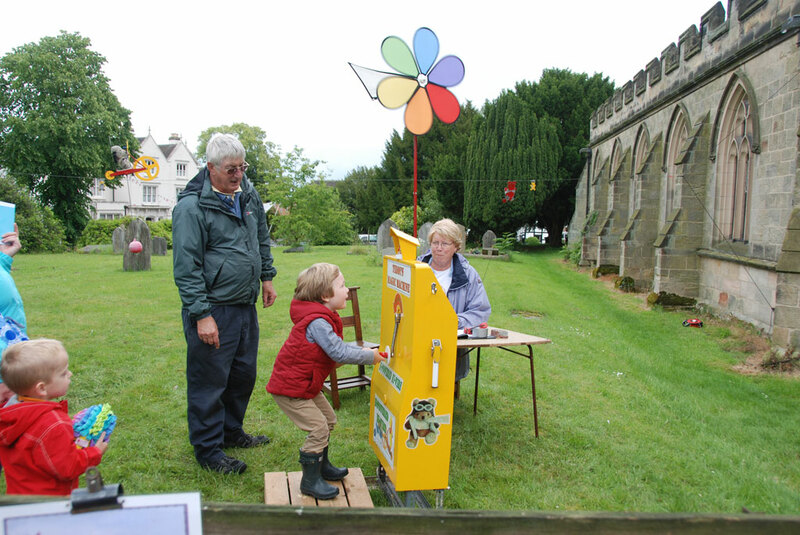 For thrill-seeking Teddies, Oblivion is not to be missed as Teddy ascends gently to the top of the highest point in the village of Barton under Needwood (the top of the church tower) before hurtling into the smoke filled Teddy Oblivion Chamber. 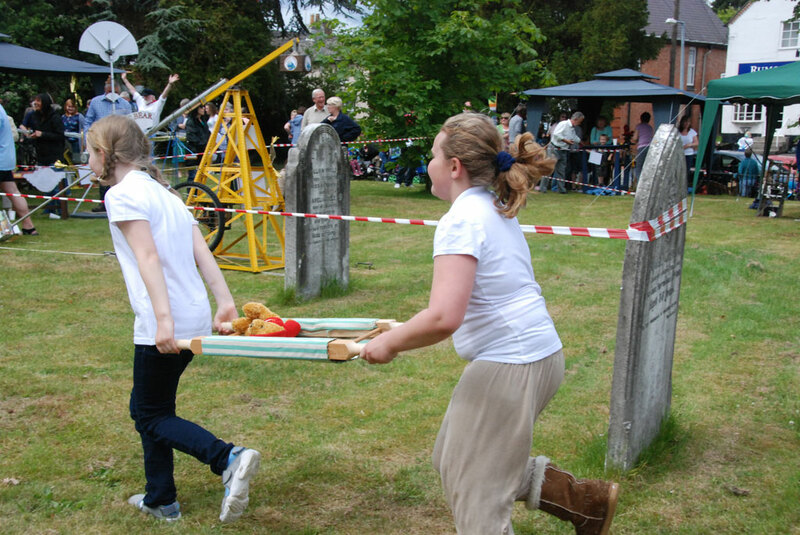 For competitive Teddies: race your friend's teddy in the unique Barton Boat Race. 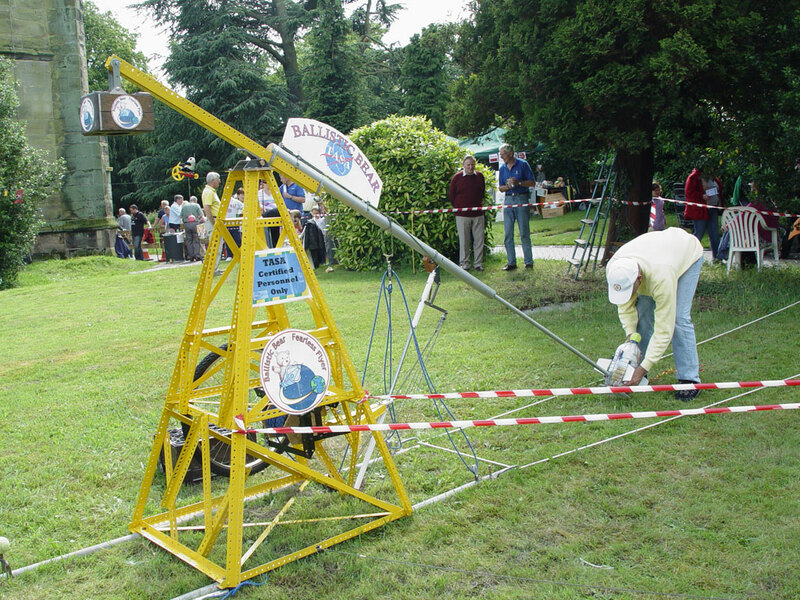 Your skill depends on how quickly the water is released to propel your bear down the shute. 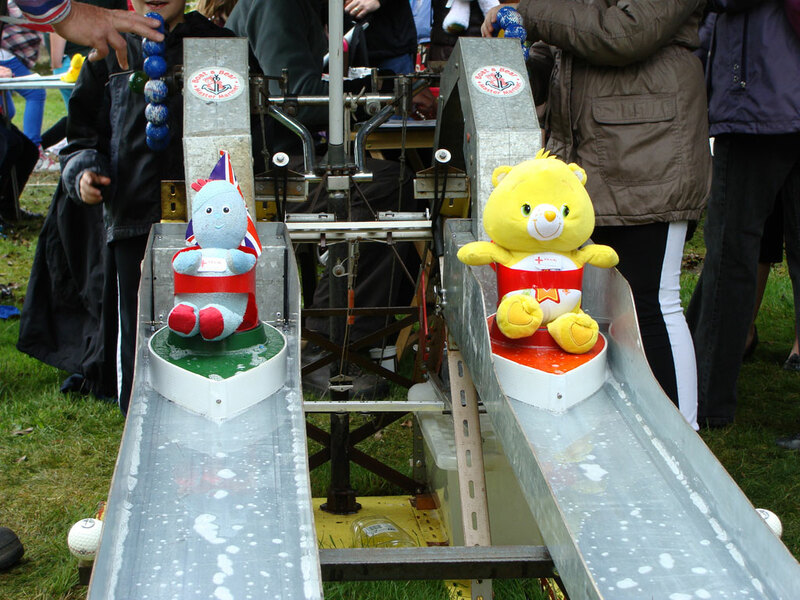 May the best bear win! 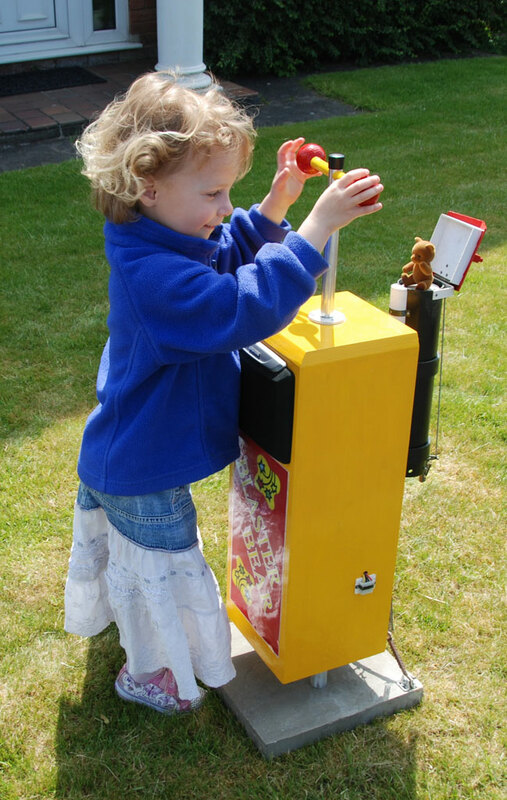 For body-building Teddies while you are waiting at the boarding gate. 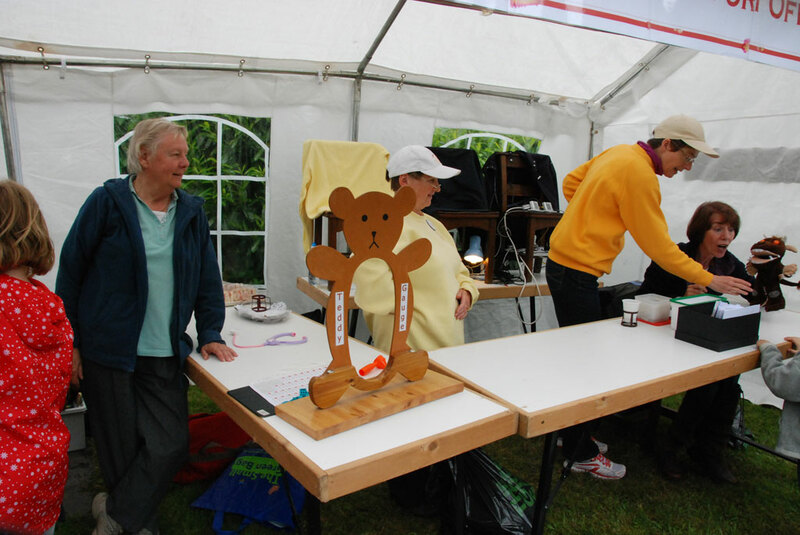 The Tuff-o-Meter will test teddies strength against other teddies. 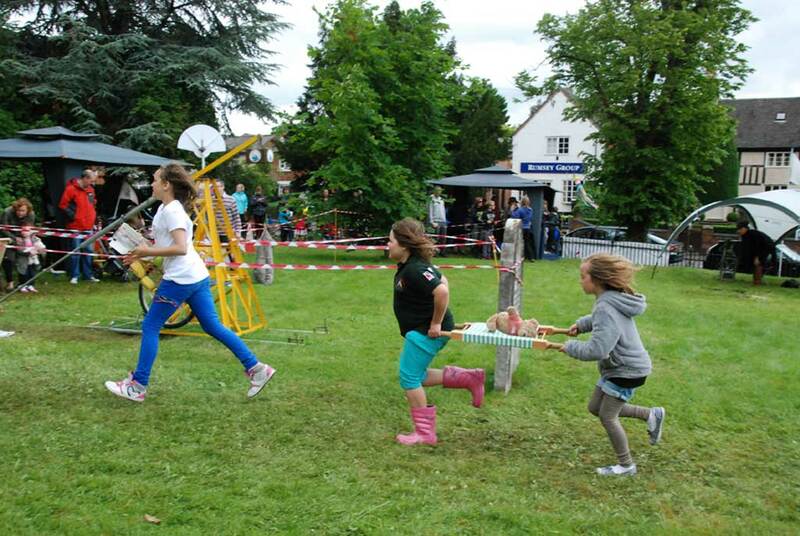 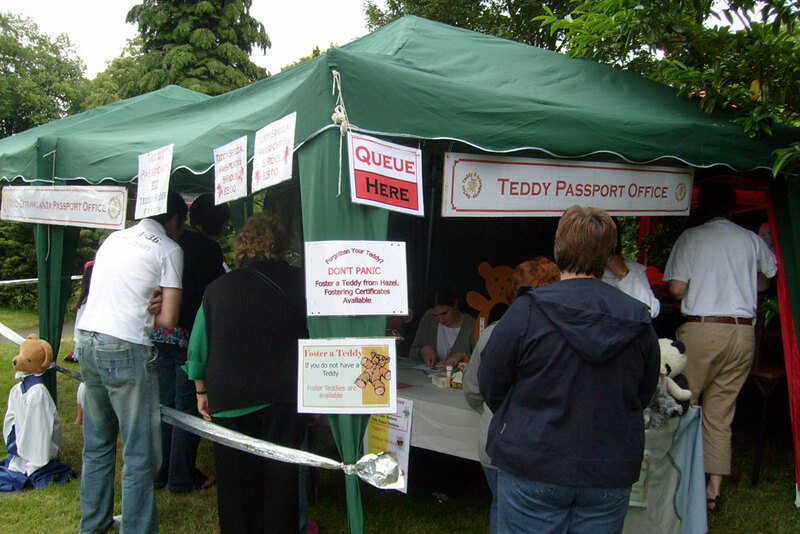 Can you be the tuffest teddy at the Barton under Needwood Family Festival?